What is the Roblox game platform? Roblox is a massively multiplayer online and game creation system platform that allows users to design their own games and play a wide variety of different types of games created by other users. The platform hosts social network games constructed of Lego-like virtual blocks. As of September 2018, Roblox has over 70 million monthly active users. What is the Roblox Studio? Roblox is a game creation platform which allows players to create their own games using its proprietary engine, Roblox Studio. Games are coded under an object-oriented programming system utilizing the programming language Lua to manipulate the environment of the game. 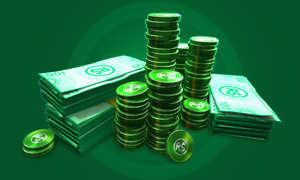 Users are able to create game passes, which are purchasable content through one-time purchases, as well as microtransactions through developer products. Developers on the site exchange Robux earned from various products on their games into real world currency through the Developer Exchange system. A percentage of the revenue from purchases is split between the developer and Roblox. Although many people believe that Roblox is a child game, but to design and publish your homemade games on Roblox and to maintain the service for it isn't a easy to do thing. Roblox provides numerous of independent games and provide servers for game publishers, to help them to achieve their dream of making their own video game for PC, iOS, Android and Xbox One platforms. Most of Roblox games are simple, but you can become a professional game developer if you have certain programming knowledge. Money to furnish and decorate the house requires real world money, with costs adding up fast. Roblox allows players to buy, sell, and create virtual items. Clothes can be bought by anyone but only players with a Builders Club membership can sell them. Add your friends on Roblox, challenge with them in Jailbreak, MeepCity, and many Simulation games from now. So you need to Buy Roblox Robux from Joymmo.com.